One of the most important factors in choosing a home for many people is the quality of the public school systems in the area they choose. Starting off your child's education on the right foot can be very important, so choosing the right elementary school is imperative. While there are many exemplary public elementary schools in the Austin area, there are also several that aren't up to par. Choosing the right location can help ensure that your child gets the best early education possible! Some of the higher ranking independent school districts (ISDs) in the Austin area are Eanes ISD, Lake Travis ISD, Dripping Springs ISD, and Round Rock ISD, and you will see most high-ranking elementary schools belonging to these districts. If you notice that most of the highest-ranking schools tend to be in higher income areas, this is largely because these neighborhoods spring up around already exemplary school districts. 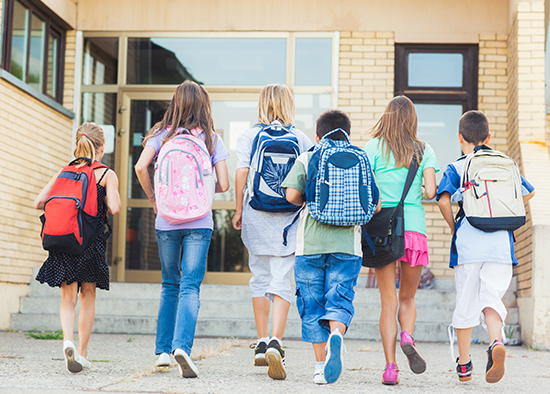 To provide the best information available, we did some research outlining the details about some of the highest-ranking public elementary schools in the area (according to Niche.com), along with the neighborhoods they service. A part of the Eanes Independent School District, this elementary school is considered one of the very best in Austin. 98% of its students are considered proficient in math and/or reading, according to state standards. In fact, it is the 3rd ranked public elementary school in all of Texas! Barton Creek is has around 540 students, which makes for a high student-teacher ratio and more one-on-one attention for students. Parents say that there are tons of opportunities for students to learn and shine such as music class and specialized programs. With a motto like “Engage. Empower. Inspire”, this school seems to hit the nail on the head. Most of the neighborhoods that feed into Barton Creek Elementary are in Westlake, with homes most of the homes in the area being luxury homes over a million dollars. These neighborhoods include Austin Lake Hills, Crystal Mountain, Senna Hills, Barton Bend, Patterson Place, Seven Oaks, Barton Creek West, and Rob Roy on the Lake. Also in the Eanes Independent School District, Forest Trail boasts 99% of its students considered proficient in math and/or reading. It is currently ranked the sixth best public school in Texas by Niche and is top ranked on Greatschools.org (10 out of 10). The school has 629 students enrolled, which is still a great student/teacher ratio. Parents boast the schools high parental involvement and great programs such as their computer lab and music programs. Since this is also in Eanes ISD, most of the neighborhoods that feed into Forest Trails are also in Westlake. These include Canyon Vista, Lost Creek, The Woods of Westlake, Camelot, Parkstone, Rob Roy Rim, Rob Roy on the Creek, and Barton Creek. Most homes in this area range from the 500’s up to a couple million dollars. Valley View Elementary, also in the Eanes Independent School District, boasts 98% of its students being considered proficient in math and/or reading and ranks 10th in Texas by Niche.com. They are proud to host the largest Child Development Center in Eanes ISD, and childcare services are available to employees and the community, enrolling young children up until they reach Kindergarten. They boast a nine out of ten review on Greatschools.org, and parents say they utilize technology by giving every child an iPad to use during class! Homes near Valley View Elementary range in price from the mid 200’s to multi-million dollar homes, depending on the neighborhood you area in. These neighborhoods include Austin Lake Hills, Austin Lake Estates, Westridge Estates, Rio Robles, Rob Roy on the Lake, Bella Lago, and Seven Oaks. Fourth on the list of best elementary schools is Eanes Elementary. Obviously also in the Eanes Independent School District, this public school is in Westlake. With 615 students, this elementary ranks 12th in Texas on Niche.com. They site a full 99% of students at this school are considered proficient in math and/or reading. Great schools.com gives Eanes a ten out of ten stars rating, and parents who left reviews on the site praised the schools very involved parental community. Homes near Eanes Elementary range from the mid $400k’s to well over a million dollars, depending on the neighborhood you choose. Neighborhoods that are served by this school include West Lake Hills and Rollingwood. There is also a small area just north of West Lake Hills that sits in the city of Austin that is also within Eanes Elementary School's boundaries. Cedar Creek Elementary School is also in the Eanes ISD. With only 482 students enrolled, the student/teacher ratio is exceptional at this school. Ranked 19th in Texas on Niche.com, Cedar Creek boasts 98% of its students being proficient at math and/or reading. While all schools in Eanes ISD are rated exemplary, parents say that the small size of this school makes for a tight knit community and “neighborhood” type feel. Homes near Cedar Creek Elementary are priced from the mid $500k’s to around $1,000,000 depending on the neighborhood. Neighborhoods include Treemont, Bee Cave Woods, The Overlook at Treemont, Woodhaven, French Creek Crossing, Treetops and Mabry. Homes in these areas are coveted not only for the great schools, but also because of their proximity to Downtown, MoPac, and Lake Austin. Homes that feed into Bridge Point average at around $1,000,000 dollars, with most homes being around 4,500 square feet. Home prices in the area have skyrocketed in the past few years, partially because of the school district and their close proximity to downtown. Neighborhoods that feed into Bridge Point are River Cover, Rob Roy, Davenport Ranch, Lake Shore, Aqua Verde, Rivercrest, West Rim, Tierra Madrones, Westview on Lake Austin, Ravine and Deer Creek. Finally breaking away from the Eanes ISD schools, the 7th best public elementary school in the Austin area is from the Lake Travis Independent School District. A much larger school with 950 students, Lake Travis is ranked 44th in Texas by niche.com, and maintains a 97% proficiency rating for math and/or reading. Greatschools.org gives them an 8 out of 10 ranking, and there are mixed reviews from parents on the site. Neighborhoods in the area are incredibly mixed, with homes ranging from the high $100k’s to several millions! Some of the more popular neighborhoods that feed into Lake Travis Elementary include Apache Shores, Hudson Bend, The Woods of Lake Travis, Lakewind Estates, Bella Strada, Vineyard Bay and Arbolago. Another great school district in the area is Dripping Springs ISD, which is where our 8th school on the list falls. With 697 students, and ranked 49th in Texas, they maintain a 98% proficiency rating for math and/or reading. Greatschools.org gives them a 9 out of 10 rating, and parents on the site praise the teachers and administration of Rooster Springs as being very collaborative and creative. Homes in the area that feeds into Rooster Springs range in size from smaller to quite large, and in price from the high $200’s to the high $800’s (some over a million)! Since Dripping Springs is a bit farther out of town, most lots sit on half-acre lots to five-acre lots. Neighborhoods near this area include Bear Creek Oaks, Belterra, Friendship Ranch, Goldenwood, and High Pointe. Ranked 52nd in Texas by niche.com, this school has a population of 659 students and still maintains a 99% proficiency rating in math and/or reading! In the exemplary Lake Travis Independent School District, Lakeway Elementary boasts a high level of parental involvement and a tight knit community of educators and administrators. Most neighborhoods that feed into Lakeway Elementary boast large homes that range from the $200k’s to around $1.5 million. Some of the neighborhoods include The Hills of Lakeway, Rough Hollow, Lakeway, The Ridge at Alta Vista, Spillman Ridge, Falconhead West, and Cottages at Spillman Ridge. A larger school in the Dripping Springs Independent School District, Dripping Springs Elementary has a student population of 803, and ranks 54th in Texas (according to Niche.com). With 97% of their students being considered proficient in math and/or reading, this school holds its weight amongst these other great schools in the Austin area. Greatschools.org gives Dripping Springs Elementary a 10 out of 10 rating, and unfortunately parents left very mixed reviews on the site regarding a new curriculum introduced in 2014. Overall, though, the school has great ratings. Neighborhoods that feed into Dripping Springs Elementary are very mixed neighborhoods, with homes ranging anywhere from 920 square feet to over 6,000 square feet. Prices can be anywhere from the high 200’s to over a million, and lots can be anywhere from less than an acre to five acres. Most lots however are larger than one acre. There are a large number of neighborhoods that feed into Dripping Springs Elementary including Barton Creek Ranch, Bear Creek Oaks, Belterra, Big Country, Cedar Springs Ranch, Creek Driftwood, Deerfield Estates, Dripping Springs Ranch, Earnes Acres, Goldenwood, Grande Prairie, Heritage Country, Heritage Oaks, Lanier Ranch, Ledge Stone, Meadow Oaks, Regal Oaks, Rim Rock Ranch, Rooster Springs, Saddletree Ranch, Sawyer Ranch, Springlake, Sunset Canyon, Triple Creek Ranch and West Cave Estates. Serene Hills is in Lake Travis Independent School District and hosts around 580 students annually in grades Pre-K - 5th. According to state standards, 98% of students at this school are considered proficient in math and/or reading. Greatschools.org give Serene Hills a 10 out of 10 rating and parents leave glowing reviews on the site praising them for their well trained teachers and tight knit community. Homes near Serene Hills, which is in Lakeway, range in price from the $200k’s to the several millions. Brooks Hollow and Rough Hollow are some of the newer, pricier neighborhoods where the majority of Lakeway has older homes built in the 1970’s and 80’s. Since there is such a contrast of homes available in the area it makes for a more diverse school district! Also in the Lake Travis Independent School District, Bee Cave Elementary is located in Bee Cave, TX. This school hosts a student population of 747 students in Pre-K through 5th, and boast a 97% proficiency rating in math and/or reading. Greatschools.org gives it a 9 out of 10 and the majority of parents commenting on the site seem very happy with the schools teachers, as well as the rest of the student population. Homes in Bee Cave are mostly newer, upscale homes from the high 200k’s to well into the multi millions of dollars. Neighborhoods served by Bee Cave Elementary include Bella Colinas, Belvedere, Briarcliff, Falconhead West, Rocky Creek, The Homestead, and West Cypress Hills. Lake Pointe, part of the Lake Travis Independent School District, but in Bee Cave, Texas, has 582 students in grades PK - 5. This school boasts a 99% proficiency rating in math and/or reading and a 10 out of 10 rating on Greatschools.org. Parents who left reviews on GreatSchools.org noted their exemplary test scores, as well as their extracurricular offerings like Spanish and PE. Homes that feed into Lake Pointe Elementary are higher in price and range from the $500k’s to well over $2 million. There are some neighborhoods where lower priced homes can be found such as Lake Pointe. The rest of the neighborhoods in the area are Uplands, Spanish Oaks and Barton Creek. The debut of Round Rock Independent School District on our list is Canyon Creek Elementary. With only 474 students in grades Pre-K through 5th, and a 99% proficiency grade in math and/or reading, this school is among some of the best! Greatschools.org gave them a 10 out of 10 rating and all reviews on the site regarding Canyon Creek are stellar. Parents make sure to emphasize the small class sizes, excellent extracurricular (music, P.E. and Spanish), and tight knit community! Homes that feed into Canyon Creek Elementary usually cost between the high $200’s and the mid $500’s, but can vary. Specific neighborhoods within the larger Canyon Creek community are Canyon Mesa, Champions Forest, Highland Hills, Palisades at Steiner Ranch, and Lakewood. Spicewood Elementary, also in Round Rock Independent School District, is a bit larger with a student population of 713. According to state standards, 98% of these students are considered proficient in math and/or reading, and parents give great reviews on Greatschools.org. Their 10 out of 10 rating is surely due to the challenging nature of the schools curriculum and the caring nature of their teachers (according to parental reviews). Another school enters the list from Round Rock ISD, and it’s Brushy Creek Elementary. A larger school at 793 students, they manage to keep their math/and or reading proficiency at 98%. Great schools.org gave Brushy Creek a 9 out of 10 rating, and parents who left reviews on the site praise the schools diverse environment and their caring teachers. Neighborhoods served by Brushy Creek Elementary include Brushy Creek South, Cat Hollow, Arbor Place, Oak Brook and Hidden Trails. Homes in these areas can range from the mid $100’s, to the mid $700’s, and vary in age and style. Laurel Mountain is also in Round Rock ISD, and fairly large at 755 students in grades K - 5. With a 98% proficiency in reading and/or math, Laurel Mountain is a full of bright students and dedicated teachers. Greatschools.org gave them a 10 out of 10, and parent reviews on the site note the strong community and extracurricular such as chess club, and a nurturing, caring staff. Homes for sale near Laurel Mountain are usually sold for $400,000 and up to over $800,000, and are usually upwards of 3,000 square feet. The neighborhood that is served by Laurel Mountain is Great Hills. In the Dripping Springs Independent School District, Walnut Springs Elementary serves 711 students in grades Pre-K - 5. 96% of their students are considered proficient at math and/or reading by state standards. They earned an 8 out of 10 rating on Greatschools.org, but many parents commenting on the site say parent/teacher communication could be better. Homes that feed into Walnut Springs range in size between 3-5 bedrooms, and up to over 6,000 square feet. Most homes in the area are between $350,000 and $900,000. These neighborhoods are in Dripping Springs and include Longview, Meadow Oaks, Onion Creek Ranch, Rim Rock, Sawyer Ranch, and Woodland Estates. In Round Rock ISD, Patsy Sommer may be the largest school on our list with over 900 students in grades Pre-K - 5. Even with this large number, though the school still manages to keep 98% of the students proficient in math and/or reading (according to state standards). Greatschools.org gave them a 10 out of 10 rating, but parents on the site complain about the principal often. They say that the teachers are good for the most part, but to avoid some. Homes in the area go from anywhere from $350,000 to $700,000 and are mainly in Cedar Park/North Austin, even though they are in the Round Rock school district. Other neighborhoods include the Ranch at Brushy Creek, Avery Ranch East, Walsh Trails, Retreat at the Ranch at Brushy Creek, Oaks at the Ranch at Brushy Creek, Trailside at the Ranch at Brushy Creek, and Pearson Place. The last elementary school on our list falls in the Round Rock Independent School District. With 881 students in grades Pre-K - 5, 98% of students boast a proficiency in math and/or reading. Greatschools.org gives them a 9 out of 10, and parents on the site say they love the extra activities kids get like the Spring Carnival and movies nights! Homes that feed into Backland Prairie Elementary are nicer, newer homes that range from the low $200’s to the high $600’s. Neighborhoods include Lake Forest, Sonoma, Forest Ridge, and Forest Creek.